The Nimitz-Class aircraft carrier USS Abraham Lincoln (CVN 72) conducted for the first time launches and recoveries of F-35C while sailing the Atlantic Ocean. An F-35C Lightning II launches off the flight deck of the USS Abraham Lincoln (CVN 72) aircraft carrier. The Nimitz-Class aircraft carrier USS Abraham Lincoln (CVN 72) became one of the few ships in the fleet to trap and launch the F-35C Lightning II, Sept. 3. The "Grim Reapers" of Strike Fighter Squadron 101 (VFA 101), from Eglin Air Force Base, Florida, are the training squadron for the F-35C. "The F-35C is still in a testing phase, so it is not fully operational yet," said Lt. Cmdr. Chris Karapostoles, a pilot assigned to VFA 101. 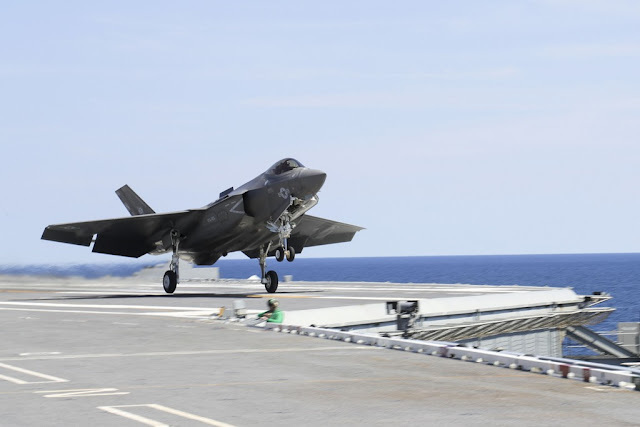 "We are the training squadron for the F-35C, so we are onboard this ship conducting our carrier qualification training, qualifying pilots, landing signal officers and maintenance crews." 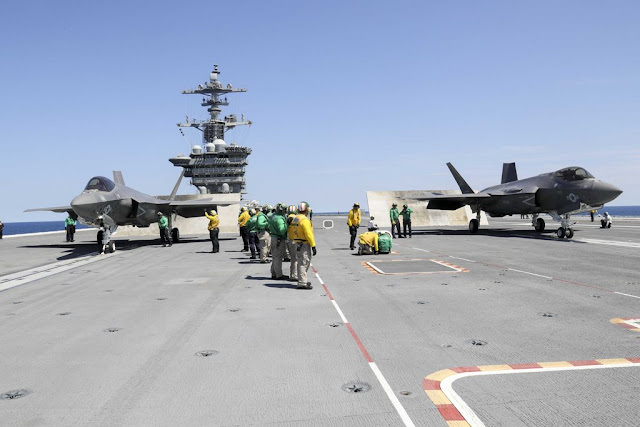 The launching and recovering of the F-35Cs presented an opportunity for the crew of Abraham Lincoln to work with a new aircraft and play a role in the development of this new fighter jet. "Being part of the primary flight control team for the landing and launching of the F-35Cs was such a unique experience," said Aviation Boatswain's Mate (Handling) Airman Mariana Monima. "The F-35Cs are so amazing and powerful. I feel privileged to have been a part of this historic event." According to the F-35 Lightning II Pax River Integrated Test Force, the F-35C should reach its initial operational capacity in 2018. "I love the F-35C," said Karapostoles. "Compared to other jets it's more powerful and really just a beast. Some of the controls are different, which can take a little bit of getting used to, but that's what we have training like this for." According to the Joint Strike Fighter Fleet Integration Office, the F-35C will introduce next generation strike-fighter aircraft capabilities to the Navy Carrier Air Wings, enabling the Carrier Strike Groups and numbered fleets to effectively engage and survive a wide range of rapidly evolving threats. Abraham Lincoln is underway conducting training after successful completion of carrier incremental availability.